Earlier in the year my family and I attended a Dog Show at Cal Expo in Sacramento CA. My son loved it! All the dogs were great and the trainers so informative and friendly. My son's favorite part was when he was able to meet a litter of Jack Russel puppies. He loves puppies, everyone loves puppies right?!? This weekend Cal Expo in Sacramento CA is hosting the First Ever Puppy Show. It will be a fun and cute time! What: The Sacramento Kennel Club, a member of the American Kennel Club (AKC), will host the inaugural Sacramento Puppy Show at Cal Expo-Saturday October 13 and Sunday, October 14th. 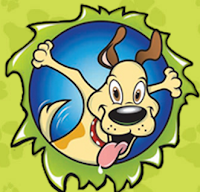 A great family event, the Sacramento Puppy Show will offer pet lovers dozens of opportunities to celebrate all things dog! Bringyour pet (or even just a photo) and communicate with one of our pet psychics; let your dog run through our agility course, or watch dog agility demonstrations throughout the day; plan your dog’s birthday party, or participate in a dog wedding; enjoy AKC breed and puppy competitions; adopt a pet from area rescue groups and shelters; enter your dog in one of our fun costume contests; win fun prizes and shop some of the best pet and specialty vendors around! This is a dog friendly event, and you won’t want to miss it! 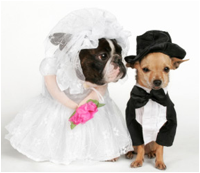 Event highlights include a dog wedding where pet owners can let two dogs get hitched at a wedding. Participants will receive the wedding ceremony, a puptual photo, and goodie bag. The dog wedding will take place on Saturday, October 13th at 1pm. 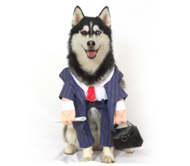 Additionally, and just in time for Halloween, a dog costume contest will be held in three categories- best dog/owner team or best group costume; most original; and best celebrity look-a-like costume. Register at the show, beginning at 12:00. The contest will begin at 1:00 sharp. Shopping, dog agility demonstrations and an open course, birthday party planning, giveaways, games, adoptions and psychic readings will be available all day,every day. Children under 12 are well behaved, leashed dogs are free. For complete event, competition and ticket information, visit www.SacramentoPuppyShow.com and ‘like’ us at www.facebook.com/CalExpoDogShow or follow our tweets @CalExpoDogShow.